Whether seeking a staycation for the whole family or wish to indulge with a weekend of shopping and gourmet dining, Grand Millennium Muscat has something for everyone. 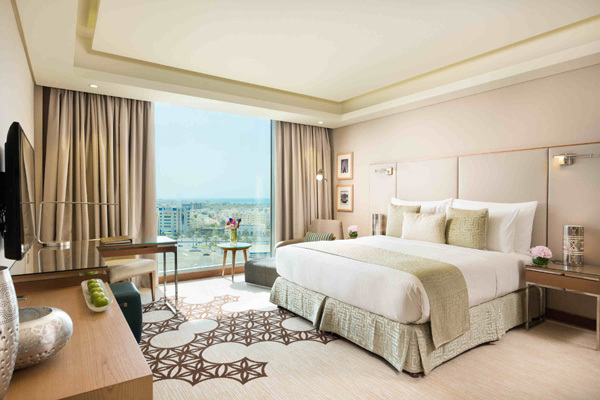 Positioned in the heart of Muscat with direct access to the adjoining Muscat Grand Mall, guests may enjoy all of the perks of a city escape, without having to hail a taxi. For the traveller-explorer, Oman boasts an abundance of natural beauty with spectacular mountains and pristine shorelines scattered across the country. At Grand Millennium Muscat, a host of day-trips and excursions are available for guests to experience. Uncover the hidden gems of the sultanate, whilst enjoying world-class cuisine at Bahriyat; Grand Millennium’s signature Mediterranean restaurant, or enjoy an afternoon of spa treatments at Zanta Spa. • OMR 10 Credit to spend every day of reservation on Food & Beverage outlets. • Complimentary stay for children under 6.